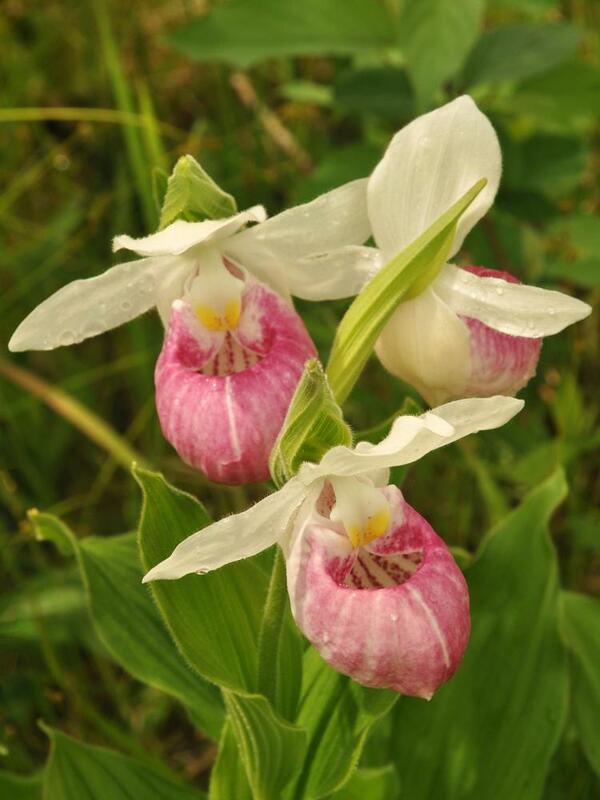 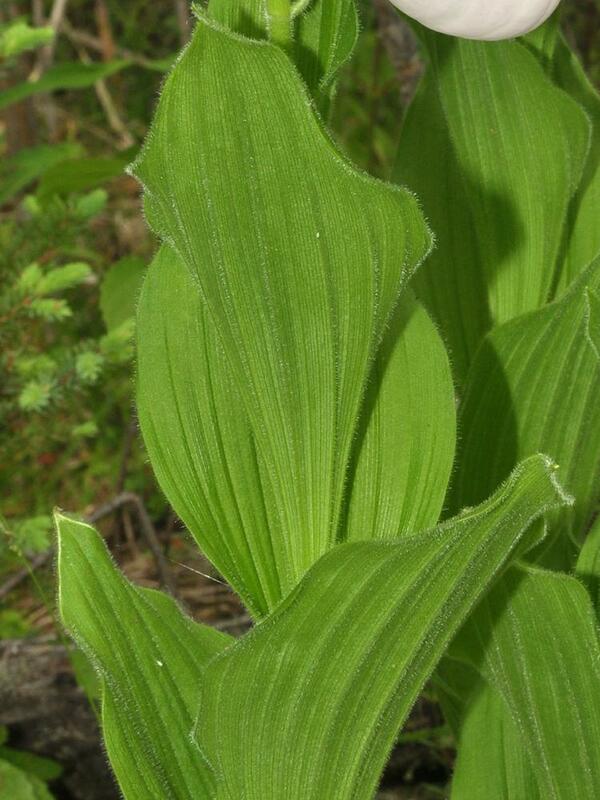 Cypripedium reginae, also called Showy Lady's Slipper, is distributed through eastern and central Canada and the U.S., from North Carolina to Saskatchewan. 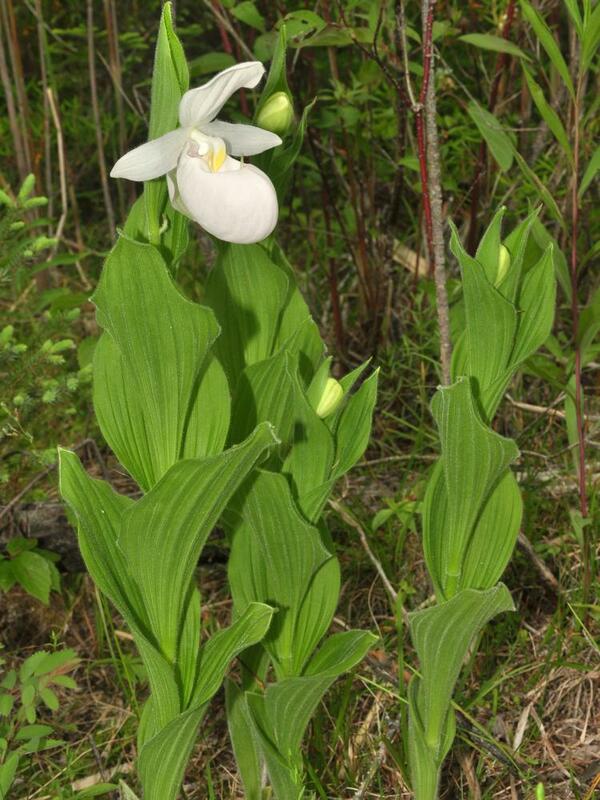 It has white sepals and petals which spread out from a pouch-like labellum, which is usually suffused with pink to magenta. 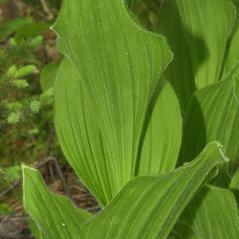 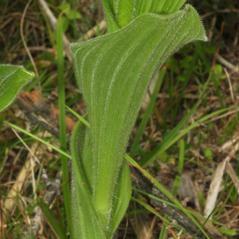 The stem, which usually bears 3-6 large leaves, is covered in thin hairs which can cause moderate to severe dermatitis. 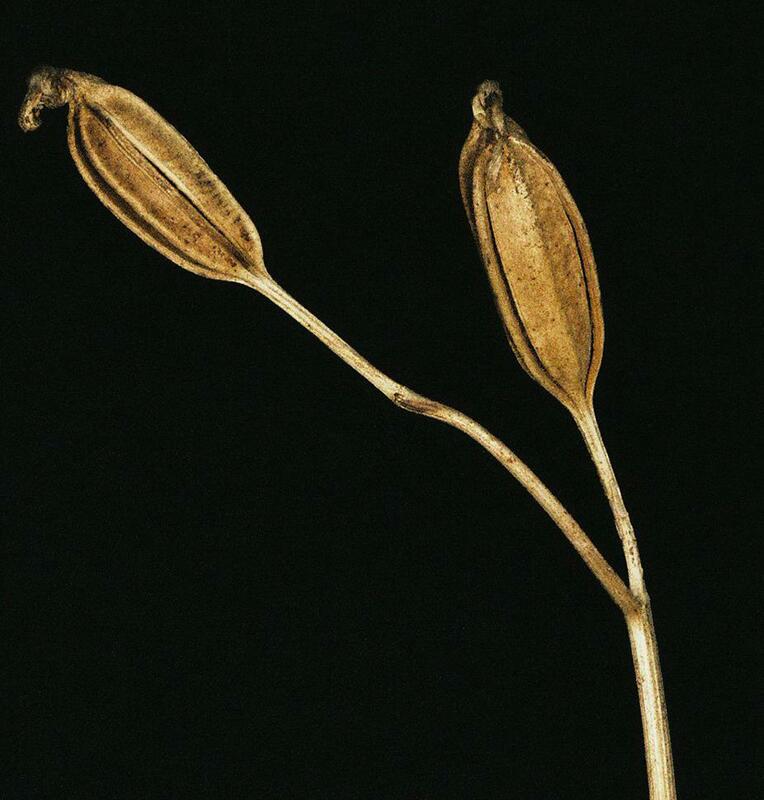 It is a clonal plant that grows slowly, occasionally taking over 16 years to produce its first bloom; a single plant can live over fifty years. 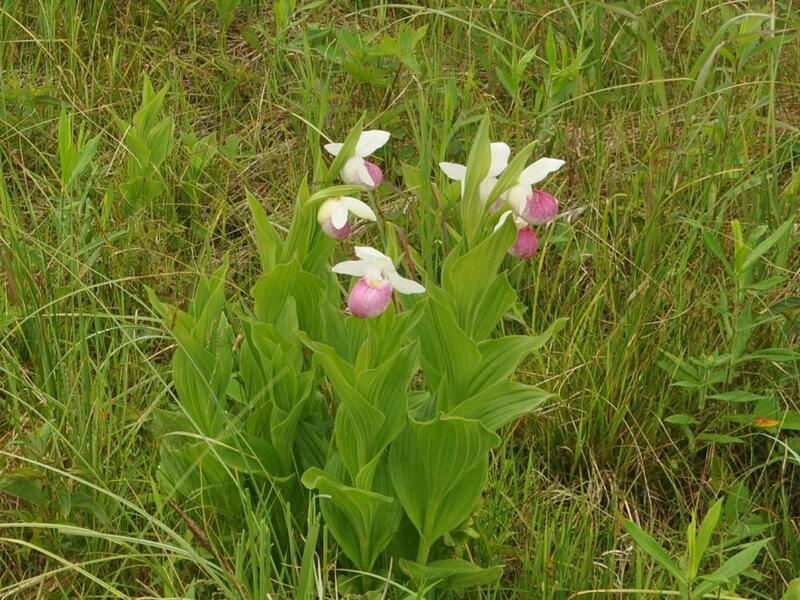 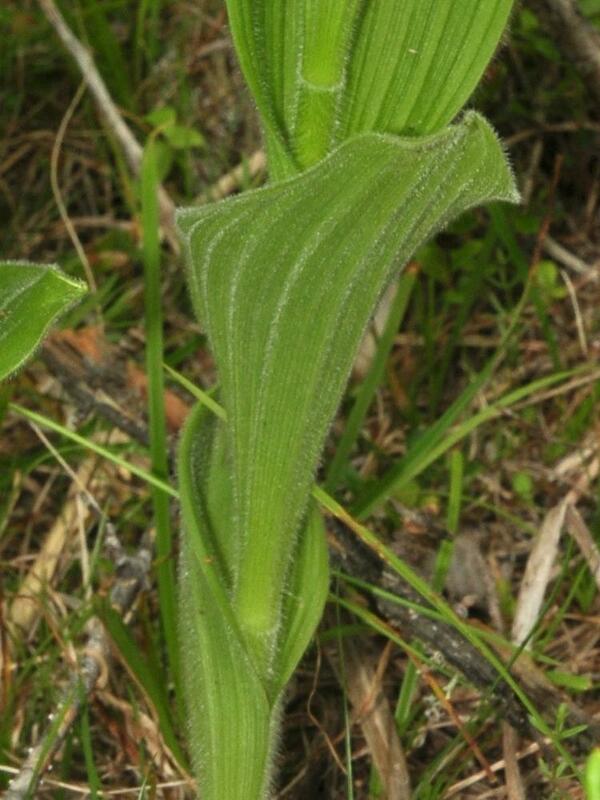 It requires moist soil, growing in damp fens, meadows, forests, swamps, and on river banks. 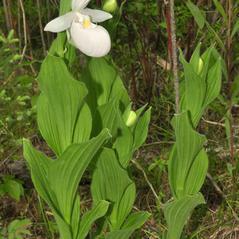 In moist, favorable conditions, a single plant can produce over 200 flowering stems. 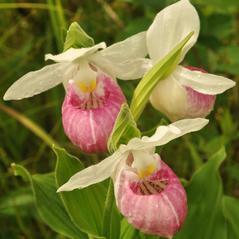 Cypripedium reginae is globally considered apparently secure but is considered rare throughout much of its southern range. 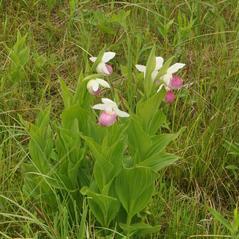 It can be distinguished from C. acaule by its larger size and by the latter's uniformly pink labellum. 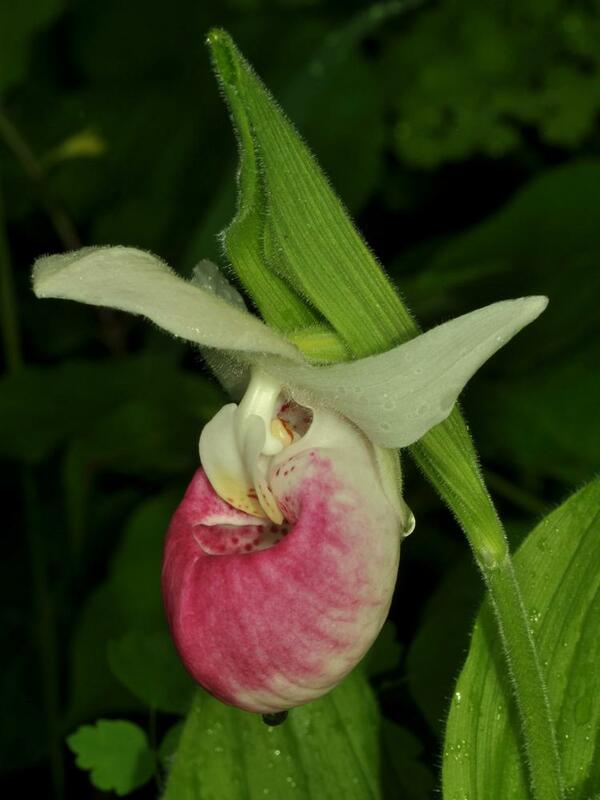 This orchid is pollinated by medium-sized bees, including Anthophora abrupta, Megachile centuncularis and Megachile melanophaea which are effective at removing the sticky pollen as they escape the flower. 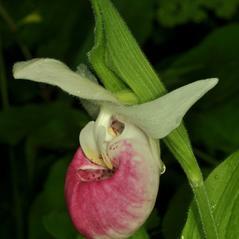 Beetle pollination in orchids is rare, but Trichiotinus assimilis has been observed visiting this flower and emerging with pollen.